Hi friends, OBS Cube Starter Kit is popular around the world. Its high-tech appearance impresses you. Today, ElegoMall bring you a brand new vape starter kit. It is OBS Cube MTL 80W Starter Kit. Let us check out more details about it. By the way, Get the Free Gifts and Special Vape Coupons from ElegoMall Christmas Vape Carnival. OBS Cube MTL Kit consists of OBS Cube Mod and OBS Engine MTL RTA. OBS features the high-tech appearance that brings you great hand feeling. Constructed by zinc alloy, the OBS Cube Mod is ergonomic with comfort grip and exquisite buttons. Powered by a built-in 3000mAh 23600 A+ high rate battery with the firing speed of 10 milliseconds, it is very safe and durable. With the 0.96 inch LED screen, you can see the vaping data clearly. OBS Engine MTL RTA atomizer is a 24mm single coil rebuildable tank atomizer with 2ml capacity. 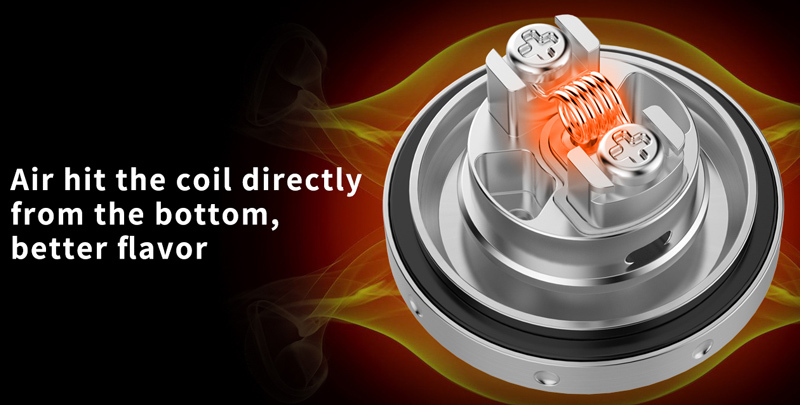 The rebuild deck and base are isolated, reduces the contact area greatly, reduces the heating delivery to the chamber and the base from the coil, makes full tank not too hot when it works at high wattage. Besides, OBS Cube RTA Tank has the top airflow system that air hit the coil directly that bring you better flavor and will not any leakage problem. Get the brand new OBS Cube MTL Kit with the Engine MTL RTA Tank. Here recommend some brand new and great Starter Kits for you. Vaporesso Luxe Nano Kit consists of the Vaporesso Luxe Nano Mod and SKRR-S Mini tank. Vaporesso Luxe Nano works with a built-in 2500 mAh battery, supporting a maximum output of 80W. Luxe Nano Kit adopts 1.3-inch TFT color touch panel with IML design, providing a wide and edge-to-edge space for operation. The responsive vibration button of Luxe Nano helps you explore an easy way for vape too! Vaporesso SKRR-S Mini tank adopts QF meshed coil and QF strips coil. The bullet-shaped inner structure eliminates the spit back efficiently. Vaporesso Luxe Nano 80W Kit can support 2A QC for instant charging. Uwell Crown 4 Starter Kit consists of the Uwell Crown 4 Mod and Uwell Crown 4 Tank. Uwell Crown 4 Kit works with dual 18650 batteries and it can fire up to 200W. The Baroque pattern is in correspondence with the crown pattern to create an elegant look. The sleek mod frame provides a comfortable grip. The anti-slip and anti-wear silicone bottom protect your mod from sliding off smooth surfaces. Uwell Crown 4 Starter Kit will lead you to great vaping experience. Uwell Crown 4 atomizer can absorb the e-juice in the condensation holder through regular usage and vaporize it. Uwell Crown 4 reduces juice leakage and waste and lessens the cleaning frequency. The UN2 meshed coil has larger heating space and heats evenly. Uwell Crown 4 Starter Kit will be the strong exquisite vape kit for the vape users. VOOPOO Drag 2 Starter Kit consists of a Drag 2 MOD and a UFORCE T2 tank. Powered by dual 18650 batteries, it can fire up to a power output of 177W. VOOPOO Drag 2 Kit is powered by the new GENE.FIT chip which adds new performance FIT modes for all sub-ohm tanks. The new FIT modes allow for optimization of battery life, flavor, or vapor production based on the mode selected. The UFORCE T2 features triple airflow slots that may be adjusted using the bottom airflow control valve for maximum vapor production. 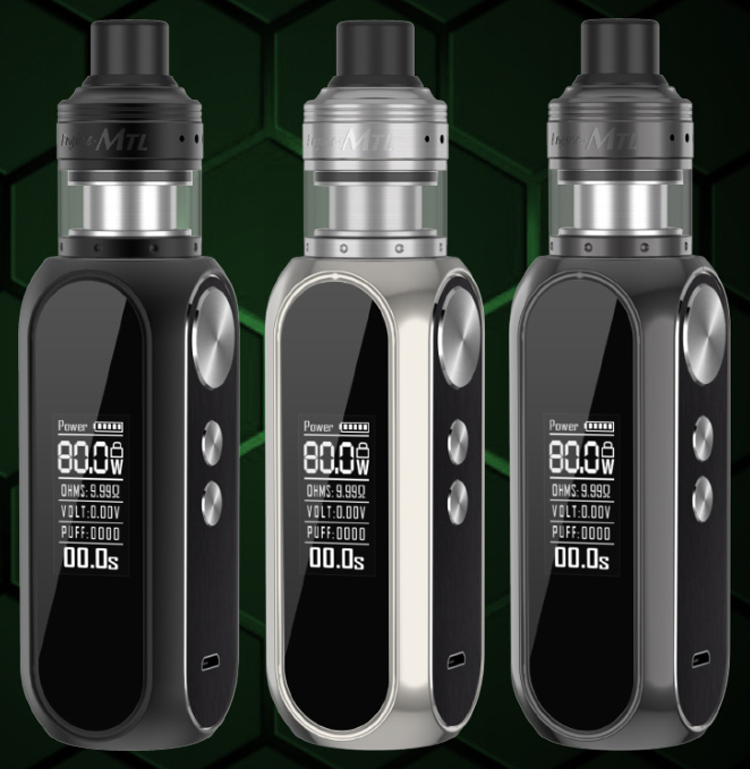 What do you think about the OBS Cube MTL Starter Kit? Which Starter Kit can impress you?